Home » Altcoins » What is LUNYR Coin (LUN)? What is LUNYR Coin (LUN)? Lunyr Coin is a knowledge base based on the Ethereum Blockchain which rewards users for actively sharing and validating information with Lunyr Coin Coin. The database relies on several central elements to offer the community added value. All information is freely accessible and every user can write or edit articles. In addition, all information is saved in the decentralized block chain. The active participation in the design process is motivated, which means that every user who actively participates in the collection and confirmation of knowledge is rewarded by Lunyr Coin Coins. Due to the decentralized nature, it is not possible to restrict personal opinion by state intervention, so that all information is communicated uncensored. The Lunyr database does not have any central administrators, so the community solves problems independently and eliminates quality issues. Due to the Ethereum-Blockchain all data are permanently available, so that no times of unavailability are possible, which can occur especially with current knowledge databases due to high access numbers or maintenance work. Furthermore, the technology of Lunyr is open source. This allows the community to actively place improvements or optimizations in the script and fix potential problems. This active participation is also rewarded by a reward in Lunyr Coin. Behind the cryptocurrency Lunyr is the company of the same name, Lunyr, which primarily promotes the development of the decentralized knowledge database Lunyr. The founders are Arnold Pham, Andrew Tran and Christopher Smitch, who also take over the management. In addition, Greg Colvin, Alex Leverington and Grant Fondo are three advisors in the company as well as their own development team. Lunyr is a knowledge base based on the decentralized Ethereum blockchain that rewards users for checking and sharing information with Lunyr Coins. The aim is to become the primary contact point for researching valid information. In the long term, Lunyr is to become the knowledge database for new applications in the field of artificial intelligence, virtual reality and augmented reality. Lunyr is traded on the market under the symbol LUN and is currently quoted at a price of USD 6.18 per coin, so that the total market capitalization is USD 14.1 million. The limit of LUN has been set at 2,703,356 coins, but currently there are only 2.3 million coins in circulation. In addition, the daily trading volume amounts to USD 292,000. At the time of the Initial Coin Offering, the market capitalization was approximately USD 5.6 million and the price per coin was USD 2.4. The high point was quoted on August 12,2017 with a value of USD 24 per coin and a market capitalization of around USD 60 million. Trading currently takes place primarily between LUN and Bitcoin, which means that around 62.5 % of the daily trading volume between these two currencies is realized. You can’t buy it directly for fiat on any exchange. You can choose the best BTC exchange for your region and buy BTC there, then trade it for LUN on exchanges. Read here how you can quickly convert other coins to bitcoin and the other way around. 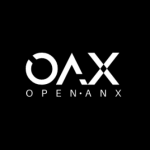 What is OAX Coin (OAX)? 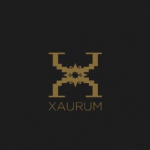 What is Xaurum Coin (XAUR)?